A visit to the British Virgin Islands guarantees natural beauty, time on the water, and plenty of sunshine. Sights like The Baths and Great Harbour offer a unique glimpse into the beauty and adventure of the islands. If you’ve settled on a villa rental in the BVI, then you’re in for the vacation of a lifetime. We’ve got all the information you need to plan your dream tropical getaway. 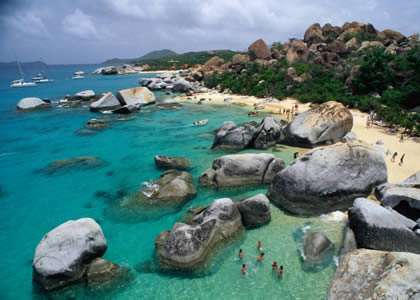 Visit the granite boulders and grottoes at The Baths in Virgin Gorda! Snorkel in Anegada's Horseshoe Reef, which has shipwrecks and bone fishing spots. Rent a boat in North Sound and sail, jet ski, or yacht around the islands. Hike through the mountains of Gorda Peak or Sage Mountain National Park for the best views of the BVIs. Snorkel through the former home of pirates ships and buried treasure in Smuggler's Cove. Go SCUBA diving through shipwrecks all over the archipelago. Drink at beach bars on every island: Foxy's, Soggy Dollar, Bomba's, Pirates Bight, and Willy-T to name a few. At 1370 feet above sea level, Gorda Peak is the second highest peak in the British Virgin Islands. Renowned Philanthropist, Lawrence Rockefeller, donated the 265 acres of dry forest surrounding the peak to the National Park Trust in 1974. This dry forest is home to native reptiles, amphibians, birds and bats, making this park one of the most biologically diverse. Hike to the lookout tower at the peak for stunning, panoramic views of the BVIs. There just one way to really experience the British Virgin islands - sailing them! Take advantage of the constant trade winds and charter a yacht or even a barebone boat . With islands close enough to navigate by site, the BVIs is a sailor's paradise. Starting from the BVIs capital island of Tortola, you'll find almost 500 square miles of crystal blue cruising area. Rent a Monohull, catamaran, even powerboat and sail from island to island. Located on the southern of of Virgin Gorda, the Baths is a collection of smooth, granite boulders that form a maze of caves, tunnels, sheltered grottos and warm pools that flow into the sea at high tide. You'll have to catch a ferry or a taxi boat to get there. It's a great snorkeling spot and also a popular spot for yachts to anchor. Go north to see Spring Bay and Big Trunk Bay, or wind through the maze of boulders to the south and you'll find to Devil's Beach. Getting to British Virgin Islands and getting around. Our transportation tips will help make your trip smoother. More good sand advice. Passport is required for all visitors. A return or on-going ticket is also required by all. There are no direct flights from the USA, Canada, Europe, or South America to the BVI's airports. Terrence B. Lettsome has daily flights with stops in San Juan from InterCaribbean, Liat, Windward Island Airways, Seaborne Airlines, American Airlines, Cape Air, Delta, and JetBlue. VI Airlink flies from St. Thomas, Beef Island, St. Thomas, and Virgin Gorda to Anegada. Cape Air has service to Virgin Gorda from San Juan, PR and St. Thomas, USVI. Drive on the left-hand side of the road. The British Virgin Islands are easily explored by car, and the best way to island-hop is by boat. 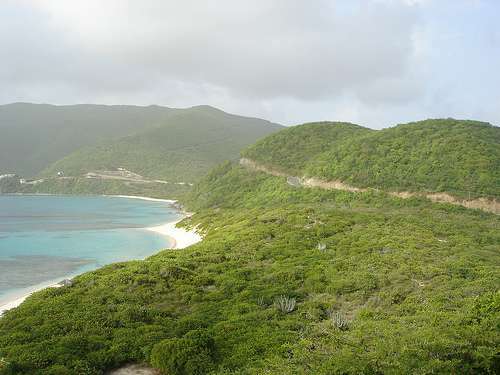 Major islands, like Virgin Gorda, also has public transportation like an open-air safari bus. * You may apply for your marriage license at the Attorney General’s office located in the Government Administration Complex at Wickham’s Cay I, Road Town, Tortola. * You must be in the British Virgin Islands for a minimum of 3 days prior to the wedding service and after having made application for your marriage license. * You will be required to purchase $110.00 in postage stamps if you have been in the territory for less than 15 days prior to the ceremony or $50.00 in stamps if you have been in the BVI for 15 days or more. * You will require passports as proof of identity and to establish your date of arrival in the BVI. * If you were previously married, you will be required to bring a certified copy or original documentation of your divorce (absolute decree) or death certificate of a deceased spouse. Registrar’s office (located above the Post Office) on Main Street, Road Town, Tortola. The office is open from 9:00 am to 3:30 PM, Monday through Friday and from 9:00 a.m. to 12:00 noon on Saturdays. Marriage ceremony fees are payable to the Registrar and are $35.00 if the ceremony is performed in the office and $100.00 if the ceremony is to be performed elsewhere. Before making their way to British Virgin Islands villas, vacationers like to know a little bit of helpful information to make them feel more at home during their stay. Take a look at our travel tips to make your time in villas in British Virgin Islands even more relaxing.